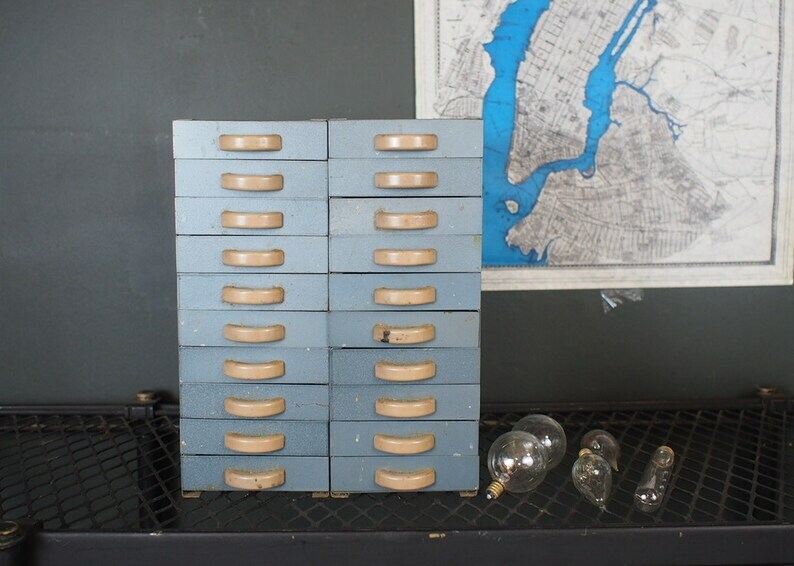 Two industrial vintage 40s small parts cabinets with 10 drawers each complete with Bakelite knobs . perfect for all your bits and bobs, jewelry, small parts and more. very cool looking. Each cabinet weighs 15LB and measures 8.5" x 5" x 13"